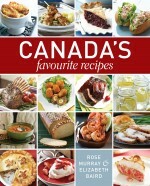 Tomorrow, I’m off to Toronto to do a couple of day’s promotion for A Taste of Canada. Among other interviews, I’ll be speaking a couple of times at First Canadian Place on Monday during the noon hour. I get to chat away for half an hour or so each time about the book while the audience munches on my Black Forest Brownies! Tuesday morning, I’m up bright and early to make my Chorizo and Scrambled Egg Breakfast Pizza for the hosts of Canada AM. The rest of the week will be filled with interviews by telephone from my home in Cambridge….radio, newspaper and magazines. 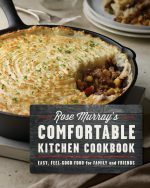 Friday, I head back to Toronto to take part in the national cookbook awards that are being held at The Royal Winter Fair. I will be presenting The Edna (an award named for our beloved friend, Edna Staebler) to an individual who promotes regional cooking in Canada. Saturday, November 8, I fly to Ottawa to do a stage demonstration at the Ottawa Wine and Food Show where a bookseller will have copies of A Taste of Canada and some of my other titles. Monday sees me back on the radio, television circuit with interviews at the CBC, A-Channel and CTV. I fly home Monday night in time to repack my bags for Vancouver where I head the next morning. 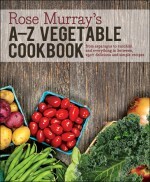 In British Columbia, I’ll be teaching classes at Well Seasoned in Langley and Barbara-jo’s Books to Cooks in Vancouver. As well, there will be magazine, newspaper, television and radio interviews in the city. On, Thursday, November 13th, I fly to Calngary where my schedule is very similar to Vancouver’s and I’m home in Cambridge again on Saturday, the 15th.